The career of Marcel Lefebvre (1905-1991) began like a star in the ascendant: as a seminarian in Rome (1923-1930) he earned doctorates in philosophy and theology from the Gregorian University; after he was ordained a priest at the age of just 24 by the future Cardinal Lienart, he began his ministry as the second assistant priest at a working class parish but then changed direction and became a religious and a missionary with the Spiritans. After entering the Congregation of the Holy Ghost (1932), he was sent to Africa, to Gabon, where he remained for 13 years: first as rector of a seminary, but then as head of various mission posts in the bush, such as Lambarene, where he made contact with Dr. Albert Schweitzer. But in the aftermath of the war he was called back to France to direct the Spiritan scholasticate in Mortain (1945-1947), deep in the heart of Normandy. Nevertheless, Pope Pius XII reassigned him to Africa as Apostolic Vicar (1947), then as first Archbishop of Dakar (1955), in Senegal. As of 1948, the pope appointed him his apostolic delegate for French-speaking Africa (Morocco, French West Africa, French Equatorial Africa and Madagascar). After the death of Pius XII (1958), John XXIII put an end to his African duties, both diplomatic and pastoral, and appointed him bishop of the little Diocese of Tulle, in France (1962). But Marcel Lefebvre remained there only six months, since he was soon elected Superior General of the Congregation of the Holy Ghost (1962-1968), which at that time had more than 5,000 members. Meanwhile, John XXIII appointed him Assistant at the Papal Throne and member of the Central Preparatory Commission for Vatican Council II. 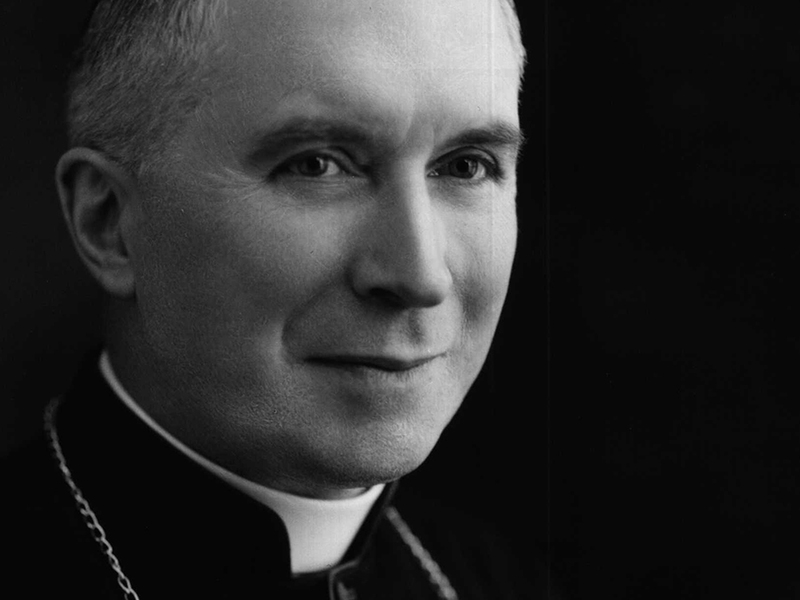 Archbishop Lefebvre participated actively in Vatican II as a Council Father (1962-1965). He distinguished himself by organizing a group of Fathers who were determined to counteract the leaders of the liberal wing. After the Vatican sanctions against his priestly society (1975) and against him personally (1976), his work would have to live—it seemed—on the periphery of the Church. And yet the “forbidden Mass” that he celebrated in Lille in August 1976, attended by 10,000 laity, had enormous repercussions throughout the world. It popularized the “Iron Bishop”, the intrepid defender of the traditional Mass who opposed the reforms that were all over the map in the Church, emptying novitiates, seminaries and parish churches. In 1988 he ensured that his work of restoring the Catholic priesthood would continue by consecrating four bishops in Econe, even though Pope John Paul II had forbidden it. For that act he incurred the gravest of all ecclesiastical sanctions, which he deemed unjust, like all the previous attempts that were aimed exclusively at forcing him to abandon the good fight of the Faith, in the name of a misunderstood obedience. He died in Martigny, Switzerland, on March 25, 1991, in profound peace, proud “to have handed on what I had received,” alluding to the words of St. Paul (1 Cor. 15:3) which he had engraved on his tombstone. What is the common thread running through the life of this non-conformist prelate who claimed never to have acted impulsively on the basis of his personal ideas? What is the force that impelled that obedient Roman Catholic churchman—Roman in mind and heart—to confront and contradict two popes? What is the unifying theme of his turbulent career? What sort of faith did that man have, who cited love for God, love for Jesus Christ and love for the Church as his reasons for taking such serious steps? Instead of considering him as the “rebel bishop”, should we not see him as a man led and guided by a providential plan for a salvific work? "That’s my vocation! Bishops exist in order to ordain priests. Bishops help the Church to expand, and this is how they serve as missionaries. For me it is most trying, I’m constantly worried, because I so dearly wish to give district superiors and the faithful good priests."